January 18, 2015 January 18, 2015 Diana B. A mostly out-of-tune orchestra of trumpets and horns. 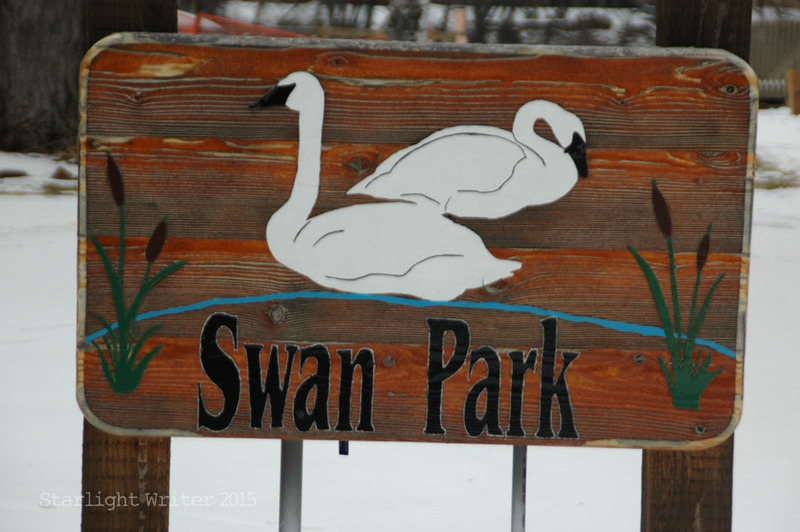 That’s the strange music you hear long before you see anything at Swan Park. Squeezing patiently through the crowd of spectators, many heavily armed with digital SLR cameras and zoom lenses, you eventually get a glimpse of glory. 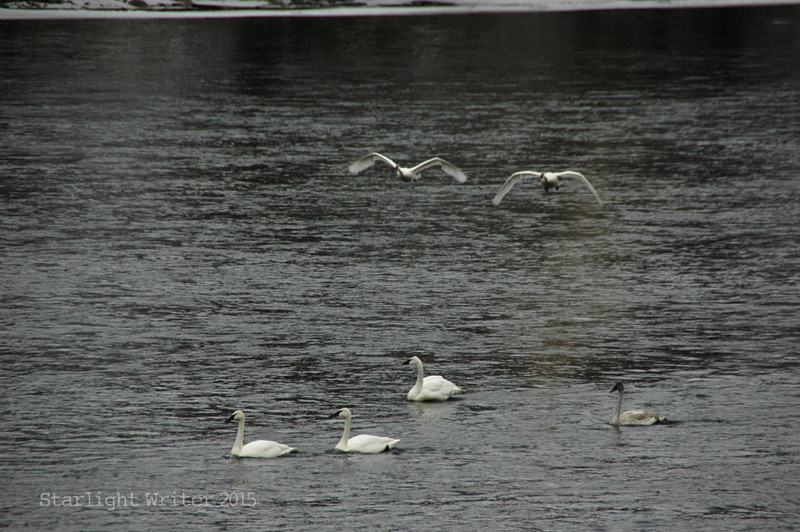 Trumpeter swans! 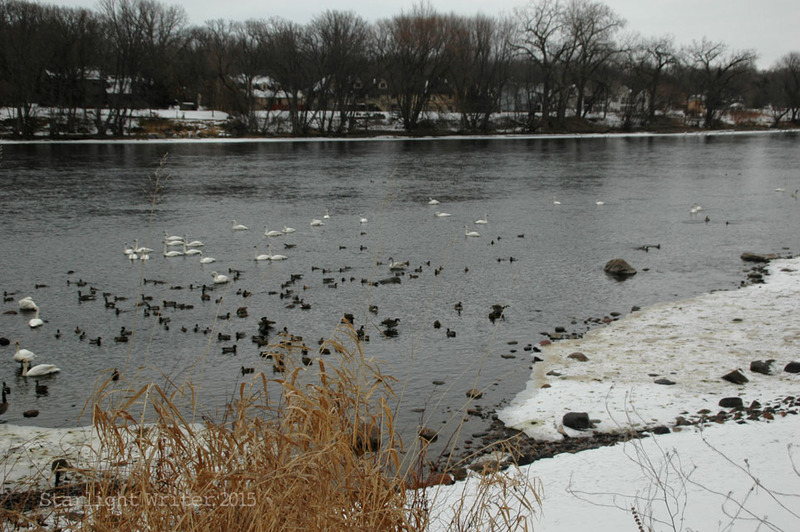 Hundreds, sometimes even a thousand, wintering trumpeter swans gather on this rare spot of open water on the Mississippi River when the marshes and ponds in Minnesota are frozen. While the river does freeze over, this particular spot in Monticello rarely freezes because of the power plant upstream. 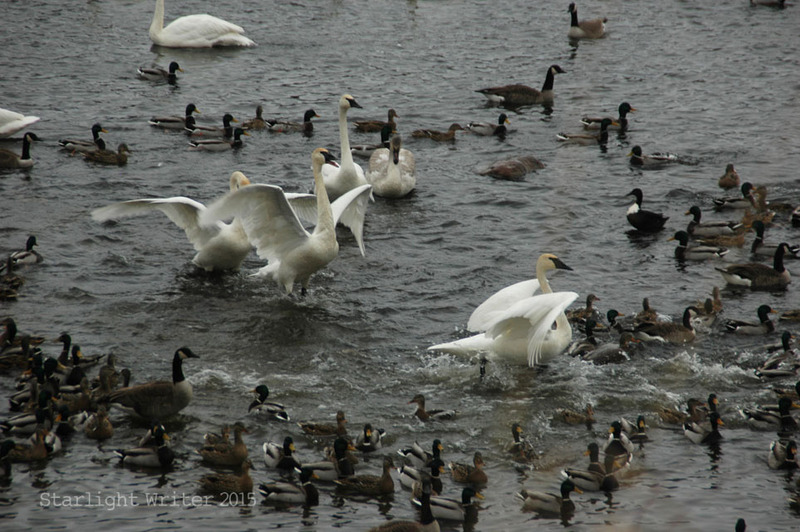 Joining the swans are hundreds of mallard ducks and Canadian geese, too. 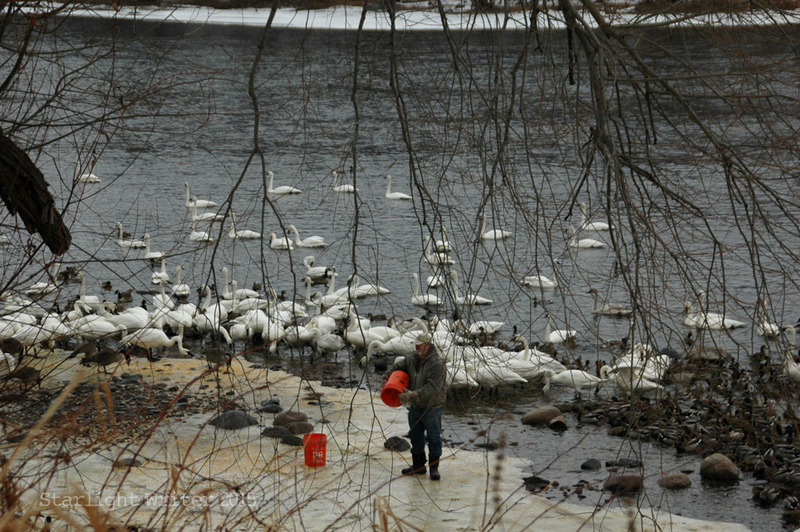 A riverside resident and swan-lover, Jim Lawrence broadcasts corn to feed the swans at 10:30 every morning between mid-November and March, and so the swans know him well. 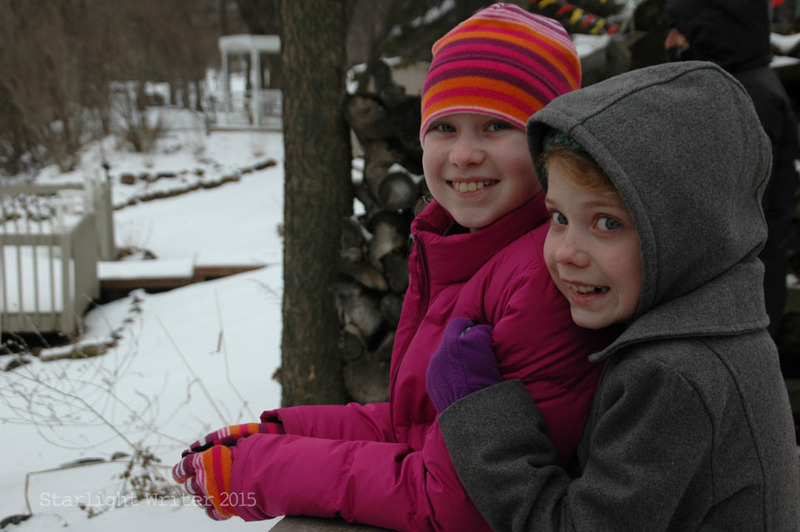 No one else gets this close to the wild birds. Jim’s late wife, Sheila Lawrence, was known as the Swan Lady. 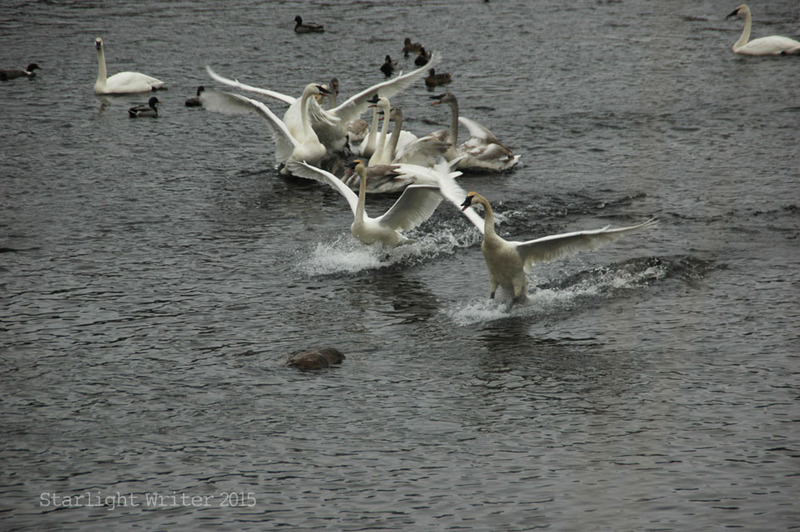 She fed and studied the swans for 25 years, helping document the restoration of these birds. 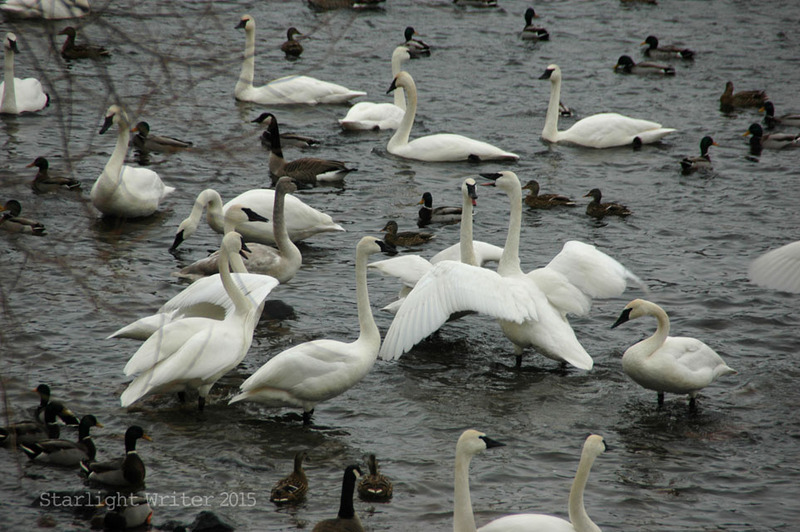 The swans now number close to 5,000 in Minnesota, but these natives were absent from the state between the 1880s and 1960s. 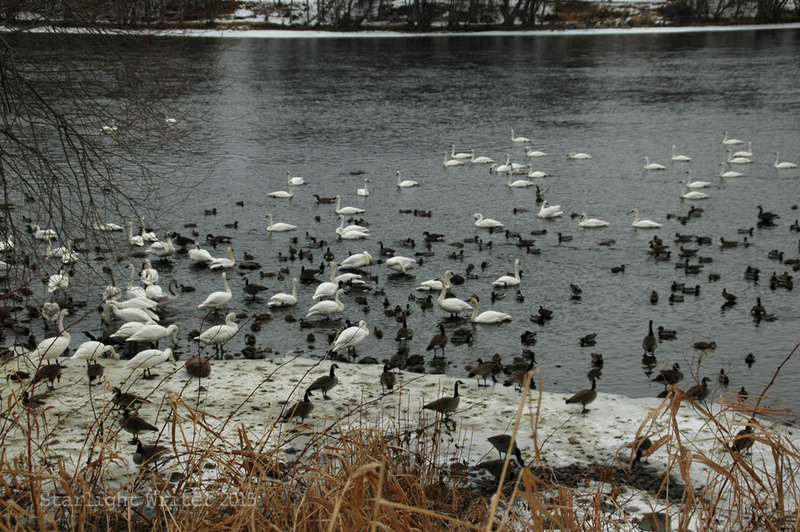 The Three Rivers Park District and the Minnesota Department of Natural Resources were instrumental in reintroducing them to the state in the mid 1980s when 150 trumpeter swan eggs were brought in from Alaska. 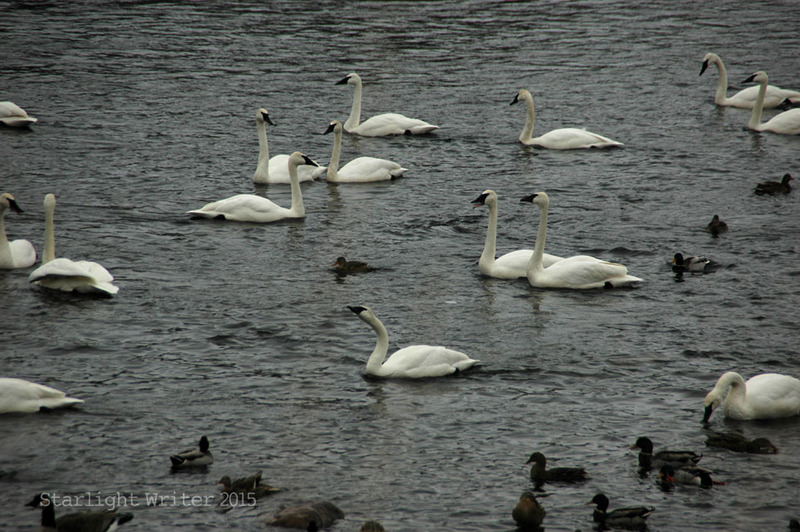 Knowing that history, it’s a miraculous, glorious sight to see so many swans. And yes, it’s cold just standing and watching. 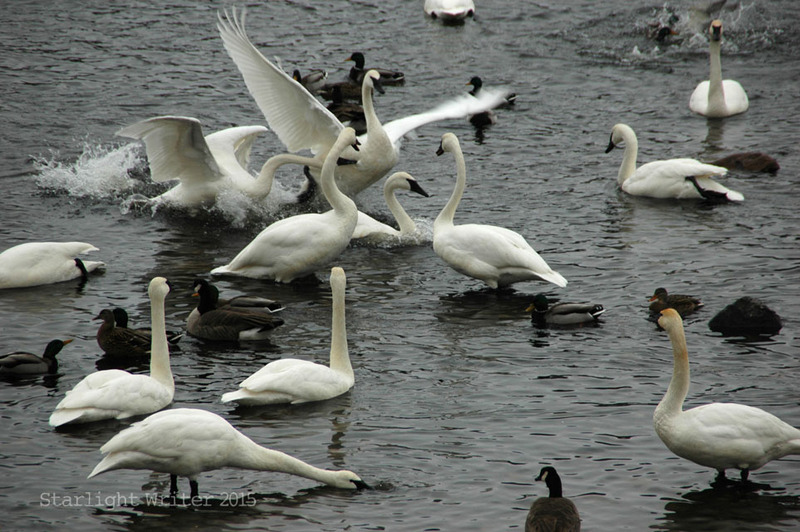 But these majestic birds fascinate and entertain you as they interact with each other and the sometimes bully the other waterfowl. 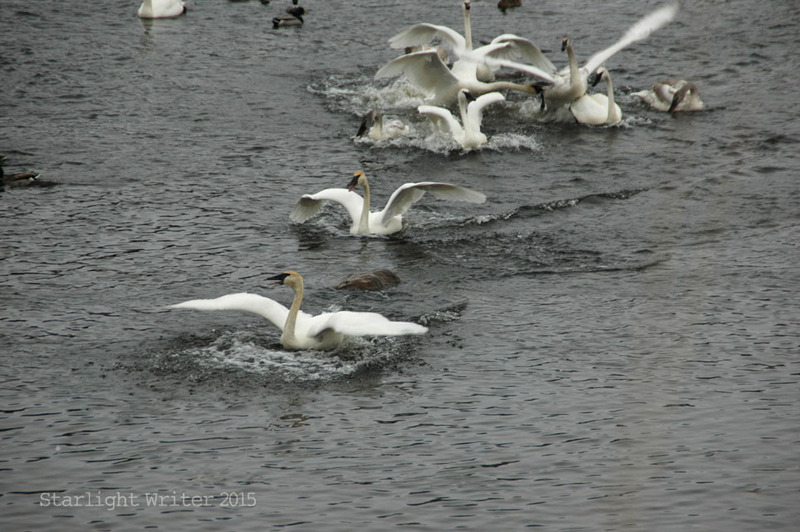 The most amazing sight is seeing them come in for a water landing. 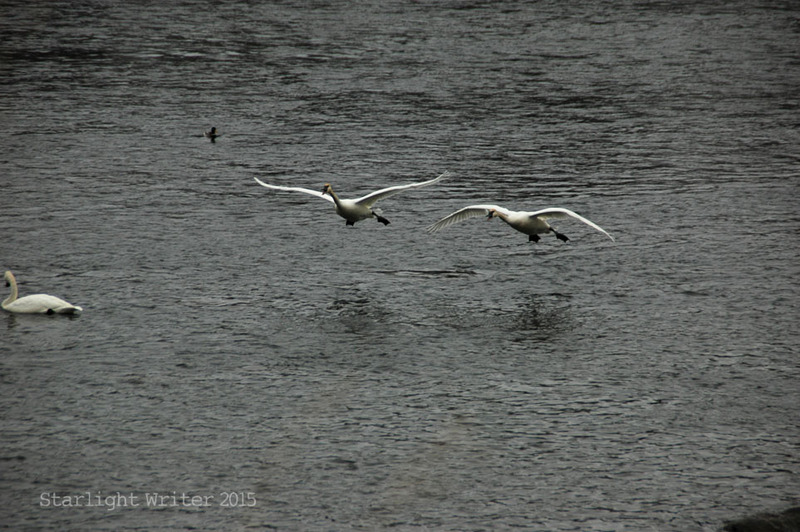 Their approach seems slow as they glide in on wings spanning 7 feet. 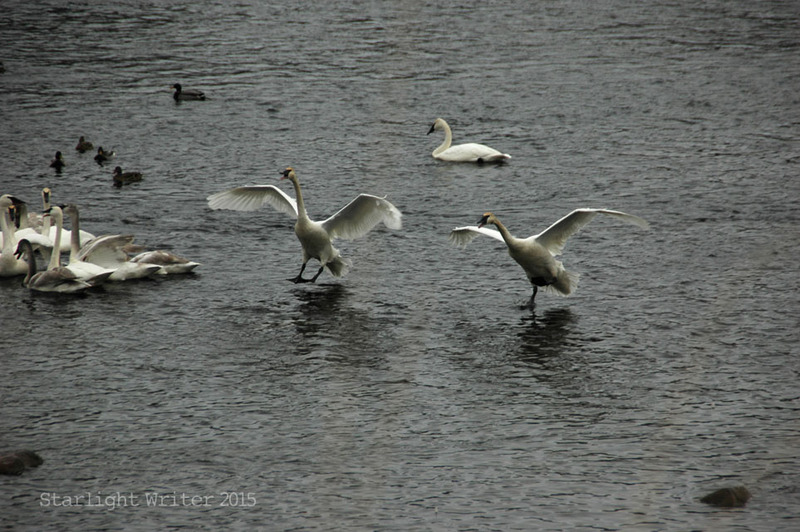 Their big webbed feet seem like a strange hybrid of landing gear, water-skis and black rubber boots. 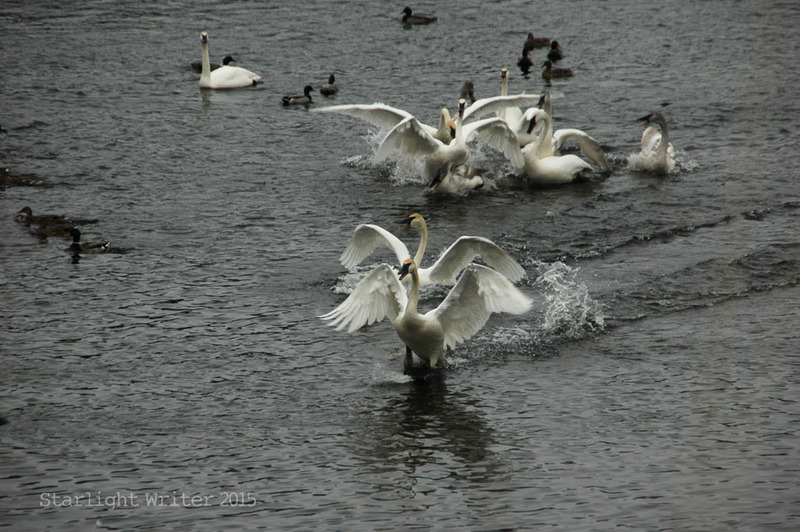 For details about visiting the swans on the Mississippi this winter, click here. 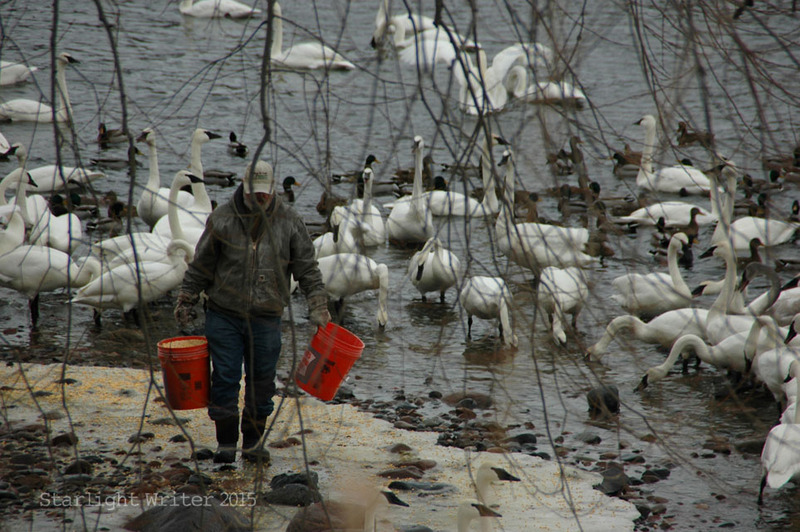 And for more about the Swan Lady, check out this video from the Minnesota DNR.